The American singer was declared as a person of the biggest victory with numerous BBC Awards. 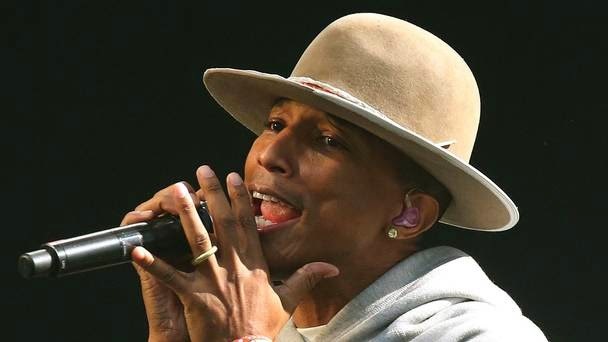 Pharrell Williams took home awards for Best International Artist and Song of the Year for Happy at the inaugural ceremony on Thursday evening. The 41yrs old songwriter who is a fashion designer and a record producer too, couldn't attend the event because he was busy in filming commitments for US talent show The Voice. He expressed his thanks for the gongs through a video message. The rapper also said that he is uncertain what it was that made Happy such a great success globally adding that the achievement it brought isn't something what he can determine. The hit maker of ‘Gust of Wind’ named his award to his fans who he thinks too credit the victory for the song, he has won the award. He said that songwriters are obliged to what the listeners think. When they say 'song of the year' it's not really his award, it's their award. The honorable evening became special for Pharrell in regard of his one-time coworker Ed Sheeran was declared a winner at the gongs where he took home the prize for British Act of the Year. While on the stage receiving his gong the English songwriter and singer conveyed his thanks to everyone for the award saying as a very big thanks to all who’s bought a record, bought a ticket, streamed on YouTube or listened to his music." According to Ed Sheeran, he always thought that his career would be stopping at one album, however if people stop listening to the music he'll still make it." The ceremony was dazzling with the live performances by Coldplay, One Direction, Take That and Ed, whose awe-inspiring solo acts of their favorite versions along with the hit singing of Pharrell blew a new soul into the venue. Besides that the ceremony was also sweet scented with the breathtaking performance of new group Catfish and the Bottle men who won the BBC Introducing award ' recognizing the most promising new act'.